By long-standing tradition, most - if not all - Rotarians end their meetings with the final toast "Rotary Around The World" to acknowledge that their club is just one of many tens of thousands of clubs in most countries, all of whose members share those values and objectives which were established over 100 years ago. Every Rotary club is established in a specific locality - a village, town or district of a city or rural area - with the objective of serving that community. Its activities are most visible to the community when it fund-raises for local, national or global causes, or when it joins in community activities such as Thornbury's Carnival or Christmas lights switch-on event (pictured), or simply assists other events such as the Thornbury Round Table fireworks. Being a Rotarian is much more than being a temporary traffic warden, a bucket-shaker or a fund-raiser for charitable causes. Each member offers his or her time, professional exper- ience and skills to his local community, whether as organiser of events, contributing personal time to local, national or international charitable projects - or even maintaining a web site! 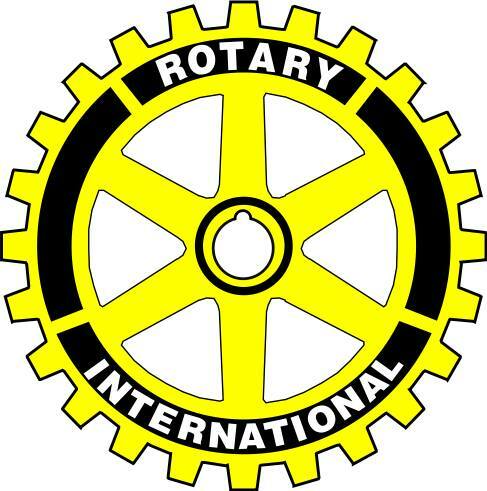 Please explore this website to discover what Rotary has and is achieving "around the world" and in and around Thornbury. Perhaps it might encourage you to offer your services - and enjoy fun and fellowship at the same time. Since its foundation in 1906 the Rotary movement has draw upon the time, expertise and professional contacts of its world-wide membership to fulfil its main objectives - serving society at all levels and promoting international peace and goodwill. Hundreds of millions of pounds have been raised and donated to a wide variety of environmental and medical projects in association with world-wide NGOs, governments, charitable foundations and philanthropists - most notably the campaign to rid the world of the scourge of polio. Click here to find out more about the on-going work of Rotary and its Foundation - itself a major donor. Since 1971 Thornbury's Rotary club has contributed to the life of the town and district in many ways. 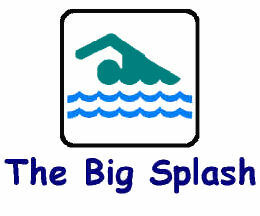 Its Swimarathon has been its major annual fundraiser for over 30 years, attracting over 300 swimmers each year. The Club's high-visibility jackets are a familiar sight at the carnival, food fairs and outside Tesco and Wyevale with collecting buckets, especially after major disasters. The club supports local schools and young people in a variety of ways, including assistance with practice interviews, and organising various competitions including public speaking, cooking and photography. There is also an annual "Kids Out" away-day for disabled and disadvantaged children and their carers. Click here to find out more about our current activities and future plans. Young Photographer, Food Fairs, Young Chef, Remembrance Day Parade, Southern Cotswolds Young Musician Competition, Thornbury Carnival, Rotary Youth Leadership Award, Bosom Buddies, Thornbury Christmas Lights, Rotary Avon Young Musician Award, Jessie May Trust, Life Skills, Kids Out, Rotary Foundation, Stroke Awareness day, End Polio Now, Tools for Self Reliance, Hearing Loops, Inspire Arts Trust, Cumbrian Flood Appeal, Thornbury Lip Readers, National Eye Research, Young Golfer, Marlwood School Borneo Project, Shelterbox, Brownies and Scouts Packs, Community Composting, Swimarathon, Thornbury In Bloom, Castle School Trust Premium Partners, Primary School Youth Speaks, Young Photographer, Butterfly Space, Sandra's Baby Clothes and finally Northavon Youth Theatre. 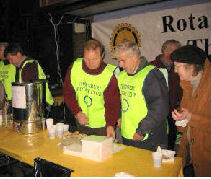 The Rotary Club of Thornbury meets every week except Bank Holiday weeks at Eastwood Park, Falfield. (M5 Junction 14 onto A38). Tel: 01454260207. Click here to find out more about our meetings, social and service activities - you might want to join us!